Distinction and quality have defined Isshinryu Karate in the United States since the 1950’s. During that time, thousands have enhanced their lives through its practice. 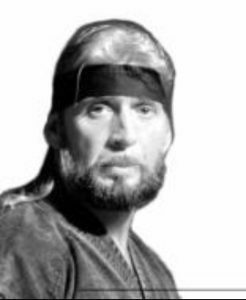 Soke Robert A. Kristensen founded Texas Isshinryu Karate Kai in 1991, maintaining the deep, rich traditions of traditional Okinawan Isshinryu Karate and the lineage of Shihan Dale Jenkins. 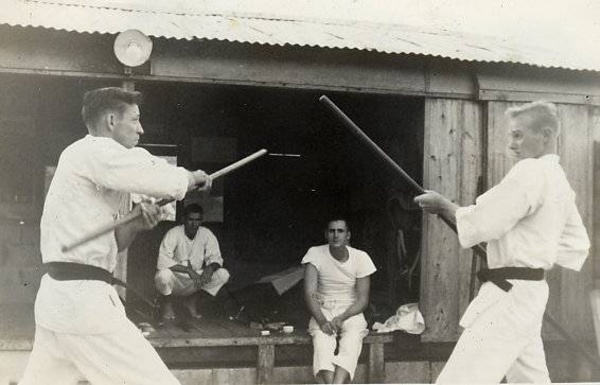 Soke Kristensen offered his first karate lessons at the Lewisville, Texas Kindercare and VFW. The Lewisville VFW offered him help due to his service in the United State Navy in Vietnam. 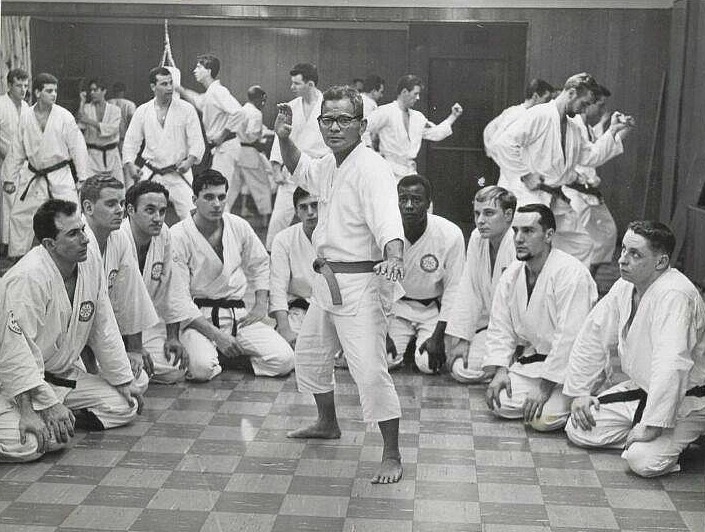 Texas Isshinryu Karate Kai is home to Hall of Famers and World Champions. In 2016 we celebrated 25 years in the Great State of Texas! 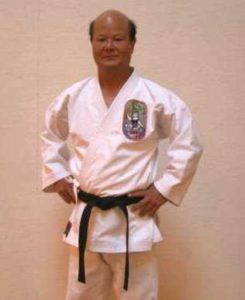 Isshinryu Karate was developed in the late 1940’s and early 1950’s by Grand Master Tatsuo Shimabuku who was born on September 19, 1908. Grand Master Shimabuku evolved Isshinryu from the information he acquired from the different karate styles he studied. At the same time, many of the students he was training were United States military personnel. After their service was completed, they returned to the United States and began spreading the Karate style known as Isshinryu (One-Heart-Way). These were the original masters of Isshinryu. Grand Master Tatsuo Shimabuku began his training under his maternal uncle who later sent him to study under Master Chotoku Kyan in Shorin-Ryu in 1920. After many years of training in Shorin-Ryu he studied under Master Chojun Miyagi in Goju-Ryu. He then studied under Master Choki Motobu. By 1940, he became the first kareteka to ever master both Shorin-Ryu and Goju-Ryu. From the Goju-Ryu style, Isshinryu Derives what are called the “hard” forms such as Sanchin and Seiunchin. From Shorin-Ryu Karate, katas such as Seisan, NaiHanchi, Wansu, Chinto and Kusanku were derived into the Isshinryu System. Most significantly, he altered the fist position from horizontal to vertical and used a simple straight line to the target. He kept his kicks low and snapped them. Both these techniques improve mobility and decrease the possibility of a kick being blocked or trapped. He used the muscle side of the arms for all closed fist blocks. Isshinryu became know for its speed, rhythmical combinations and focus of technique. As a symbol for Isshinryu, Master Shimabuku chose the Megami or Sea Goddess. The emblem was created by Arcenio J. Advincula in 1961. The patch’s oval shape represents the vertical fist which he favored for his system. The gray background represents tranquility and peace, which is the ultimate goal of all karate-ka. The orange border represents fire. The blue water has the ability to put out the fire and represents purity. The Dragon represents Master Shimabuku, whose nickname was Dragon Boy. The 3 stars represent the mental, physical and spiritual aspects of karate training. Some say the 3 stars represent the 3 styles of karate in which Master Shimabuku studied or the 3 Master’s he studied under in Shorin-Ryu, Goju-Ryu and Kubudo. In some cases you will see five stars.